Amman- Upon the instructions of His Excellency Dr. Talal Abu Ghazaleh, the knowledge stations that he established in all the governorates of Jordan are now connected to the global research and education networks through the Arab States Research and Education Network main website in London. This website is operated and managed by the Arab States Research and Education Network (ASREN) in cooperation with the European Research and Education Network (GÉANT) with funding from the European Commission under the EUMEDCONNECT3 Project and Talal Abu Ghazaleh Group. 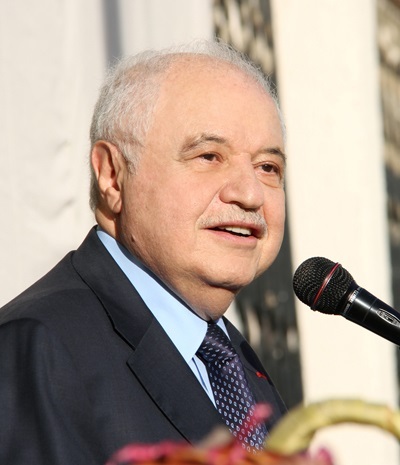 The Arab States Research and Education Network (ASREN) was established under the auspices of the League of the Arab States and chaired by HE Dr. Talal Abu Ghazaleh. ASREN works on establishing the pan Arab research and education network to provide network and application services to the Arab research and education communities and to connect them with their peers around the world. ASREN activities are funded and supported by the European Commission and Talal Abu Ghazaleh Group. enhancing its job seeking competitiveness and promoting its scientific capabilities; so that the exerted efforts integrate and contribute to achieving comprehensive economic and social development for most urban communities.